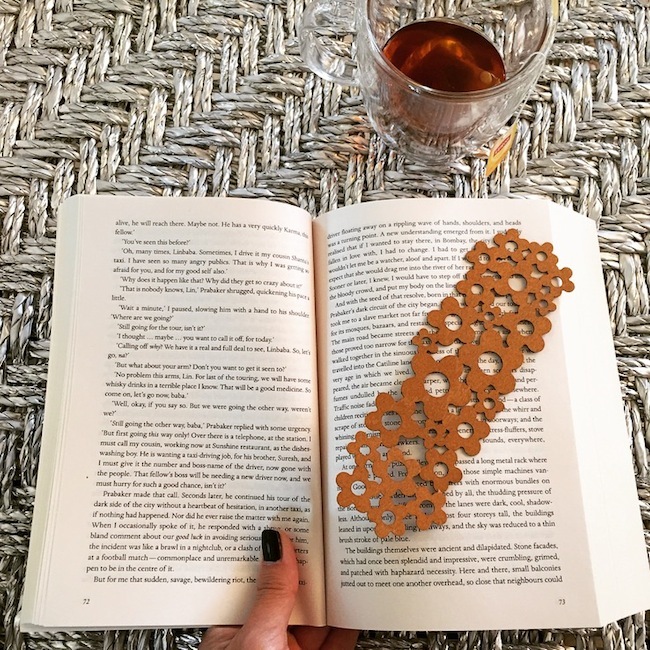 When you travel what kind of book(s) do you bring along? I tend to go for a novel set in the destination where I'm going. Gets me in the mood. 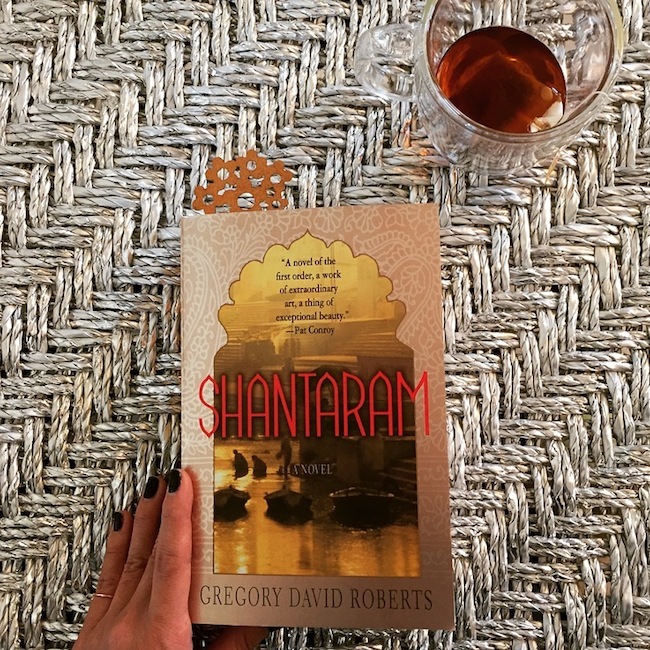 I was on the hunt for a book to bring to India, and was recommended SHANTARAM by not one friend, nor two, but 3 book worms! Indagare a much respected travel agency with fabulous destination sources also has this title listed as one of their favorite reads in their India library section. Great reviews from so many different sources…how can you go wrong?! Read it? Well I got it and begun! Not suppose to, but thought I better make sure I like it before I jet off and am stuck with this one and only. After all it is a thick one, and considered extra baggage. 933 pages to be exact! I've only read the first 100 pages, and told myself I must STOP and save it for my 14 hour flight. Hard to resist, but I've got a gazillion other stuff I'm suppose to be focusing on. Can't give myself reasons to procrastinate! HA. But yes, so far SO good. In the first chapter you get right into this autobiographical novel about an Australian man who escapes prison and flees to Bombay on the run. Gregory David Roberts, the author/character talks about his life and how fate, friendship, romance, all effect the choices we make in life. He also gets your senses flowing by describing detailed scenes of the Bombay street life, local people and the energy felt in Bombay. It has definitely gotten me in the mood. Excited to see how the story unfolds. Just like I'm super stoked to find out how India really is, and how I'm going to be changed by it. Ahh…counting down the days!